It may seem obvious, but location must be a primary factor in your choice of OB-GYN. If you live or work in Stamford, it makes little sense to pick an OB-GYN in Providence for routine or regular care. You especially need a conveniently-located OB-GYN when you are expecting. 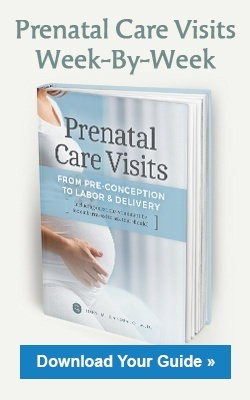 Pregnant women require frequent prenatal care visits, especially later in their pregnancies, and you don’t want to have to travel great distances to see your doctor. An exception to this advice is when you are seeking an OB-GYN for a specific gynecological procedure. If you need surgery and are looking for a minimally invasive option, then it is probably worth the trip to see an OB-GYN with experience in that procedure regardless of the convenience of the location. For example, I frequently see out of town patients in Norwalk who don’t mind traveling to receive minimally invasive da Vinci Surgery from a certified physician. For a specific procedure such as da Vinci, it’s important to consider expanding your search radius in order to locate the best physician to support your medical needs. Do you suffer from pelvic inflammatory disease? Maybe you’re dealing with dysmenorrhea. If you’re facing any chronic or acute gynecologic condition, you should consider establishing care with an OB-GYN experienced in handling that condition. Not every OB-GYN is the same, and some specialists have a more extensive background than others in treating a certain condition. The same is true of obstetric concerns. If you have a high-risk pregnancy, it is a good idea to visit an OB-GYN with training and experience in managing those types of pregnancies. Most medical specializations have a governing board that help set standards of care and regulates specialists. Obstetrics/gynecology is no exception. A board-certified OB-GYN has not only completed a multi-year residency, but they have also passed the incredibly stringent board examinations. This is not to say that OB-GYNs without board certification cannot be excellent physicians. But board certification indicates that a medical specialist has independently demonstrated comprehensive knowledge and expertise in their realm of medicine. Even if you do not currently have a gynecologic health condition that requires surgery, you could possibly face one in the future. The Office on Women’s Health, a division of the US Department of Health and Human Services, reports half a million American women undergo a hysterectomy (surgical removal of the uterus or womb) each year. In fact, hysterectomy is the second most common surgery among women in the United States. So what is the most common surgical procedure for women? The answer is a Cesarean section (C-section). Even healthy pregnant women may need a C-section delivery, so you will want to consider an OB-GYN with vast experience in the procedure. If you’re looking to establish a long-term relationship with the OBGYN you are looking for, considering future surgical support would help narrow your search. As mentioned above, surgical experience differs among OB-GYNs and not only are there many different gynecologic surgical procedures, but there are also various approaches to these procedures to consider. Just like we all have our own medical needs, we all have our own personalities that need to be taken into consideration when selecting a healthcare provider. Your personality might match better with certain OBGYNs, all depending on what you consider important – a sense of humor, sensitivity, compassion, calming? At our Norwalk OBGYN practice, we are happy to schedule a consultation before you commit to our care. This way, you can get a feel for our office, your comfort level with the physicians and staff, and the personalities of our entire care team before you make a decision. When it comes to the importance of the entire care team – nurses, reception, nurse practitioners – this is an important component when making your decision. I’ve found that patients usually find comfort and satisfaction in knowing how long the staff has been with the doctor as this is a good indicator of how the practice will run in general. The experience of others can be integral in guiding you toward an excellent OB-GYN in Connecticut. Their stories, both positive and negative, may give you an idea of what to expect from a potential new doctor-patient relationship. There are numerous online medical sites that collect and publish reviews for Connecticut-based doctors, such as Vitals, Healthgrades and ZocDoc. These reviews will provide you with further insight into the physician’s bedside manner, responsiveness, level of care and other traits that may be important to you in selecting an OBGYN in Connecticut. Many physicians will also post their patient testimonials on their practice website as another resource to help you in the search process. If you have any questions, please don’t hesitate to call us at (203) 803-1098. We’d be happy to help answer them. If you’re ready to book a consultation online, please click the button below. Dr. John Garofalo, M.D., is a gynecologist located in Fairfield County, Connecticut. He has more than 20 years of practice and surgical experience covering many facets of obstetrics and gynecology.